Philadelphia, PA [August 10, 2015] – La Salle University announced today ticket sales for the Dalai Lama’s teaching scheduled for Monday, October 26 will be available to the general public at 10 a.m. on Wednesday, August 12 at www.dalailamaphilly.org. The teaching, titled “The Wisdom of Cherishing Others. Eight Verses for Training the Mind,” will take place at 1 p.m. in the Tom Gola Arena. Doors will open at 10:30 a.m. The eight verses combine the essential teachings on the cultivation of compassion and wisdom in each person. The verses have become among the most important writings studied in the Buddhist tradition, while embodying the universal truths of all of the world’s major faiths and traditions as well. The Dalai Lama has said he recites these verses every morning, as part of his own personal practice. Ticket prices range from $25 – $40, with over 2,500 total seats available. Additional details on the event can be found at www.dalailamaphilly.org. 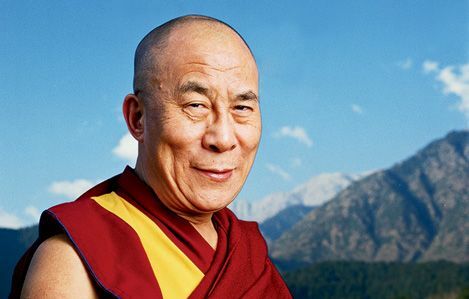 All revenues in excess of expenses are distributed under the advisement of the Dalai Lama to charity or a special project. The Dalai Lama is visiting Philadelphia to receive the Liberty Medal from the National Constitution Center later that day. The Liberty Medal was established in 1988 to honor men and women of courage and conviction who strive to secure the blessings of liberty to people around the globe. An estimated 2,000 Tibetans from exile communities across the Northeast are expected to gather at Independence Mall for the event. The Dalai Lama’s last visit to Philadelphia was in 2008 for a public talk on Buddhism in the 21st century at the Kimmel Center. La Salle University was established in 1863 through the legacy of St. John Baptist de La Salle and the Christian Brothers teaching order, which St. La Salle founded in 1680. La Salle is an educational community shaped by traditional Catholic and Lasallian values. In a nationwide ranking of colleges, Money magazine graded La Salle University an A for value added to a degree for educational quality, affordability, and alumni earnings, citing the University as a “Value All-Star.” Globally, the Lasallian educational network includes 1,000 schools (60 of which are institutions of higher education) serving 940,000 students in 80 countries.